Federal Court is a whole different ballgame than state court: the crimes are more serious and the penalties faced are much stiffer. The team that I have assembled for all of my federal court criminal cases is second to none. 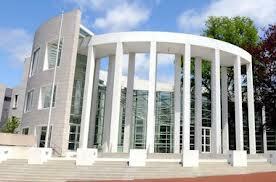 Recently, we were in the Springfield Federal Court on a federal embezzlement case. Click HERE to see the result. That lengthy and complicated document was a compilation of the efforts of my entire federal court team and was clearly one of the reasons my client was not sentenced to federal prison. Sentences in federal court are based on the Federal Sentencing Guidelines, which take into consideration many factors and are extremely complicated. My team, which includes a former federal probation officer, is able to take each federal case that comes to my office and apply the complicated guidelines in ways that are much more favorable to my clients than what may initially appear to be the case. The biggest driving consideration in a federal “money” case is the actual amount of money that is alleged to have been stolen, laundered, embezzled or otherwise illegally gotten or used. I have accountants who are able to parse out those dollars that should not be included in the calculation of the sentence. I have represented people allegedly involved in organized crime cases in federal court. In one case, no charges were brought because the client retained me early in the process and asserted his 5th amendment right against self-incrimination, thereby leaving investigators with insufficient evidence to indict him.